Nick Bayer is a United States Army veteran and former Finance Officer. Born and raised in Houston, TX, Nick graduated with honors from the United States Military Academy at West Point in 2012 with a B.S. in Geospatial Information Science. During his five years of military service as an officer in the Finance Corps, Nick served in a variety of leadership positions. Upon graduation, Nick was assigned to Vicenza, Italy where he led finance operations across Europe and Africa as a company commander and disbursing officer. He then served as a special operations budget officer for the 75th Ranger Regiment at Ft. Benning, GA and deployed to Kabul, Afghanistan. After separating from the Army in the summer of 2017, Nick enrolled at the Yale School of Management as a full-time MBA candidate. 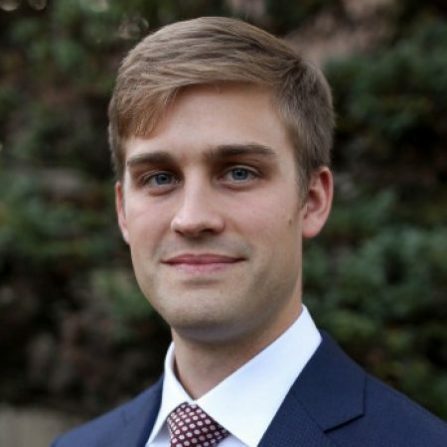 In addition to first-year studies at SOM, Nick is actively involved with the Consulting and Veterans Clubs as well as serving as an admissions guide for prospective candidates. Following completion of his MBA, Nick is most interested in full-time roles in the consulting industry.